The history space exploration is extremely well documented. Every space agency has respective public archives containing a vast selection of information about their missions. We just would like to pin-point some important events relied to space navigation. The first time mankind left the gravitational influence of earth was on board of Apollo 8. The 21st. 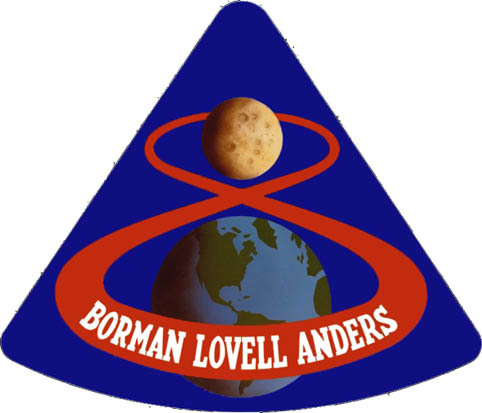 of December 1968 the three astronauts Frank Borman (CDR), James Lovell (CMP) and William Anders (LMP) started with the first mission which had as purpose to orbit around the moon as training for the moonlanding of Apollo 11 a few months later. It was also the first time the Saturn 5 Rocket was used to bring the Apollo CSM (Comand/Service Module) onto a direct path to the moon. One special project during this mission was conducted by James Lovell, who made his own navigational caclulations in parallel to the computer generated ones provided by Huston. 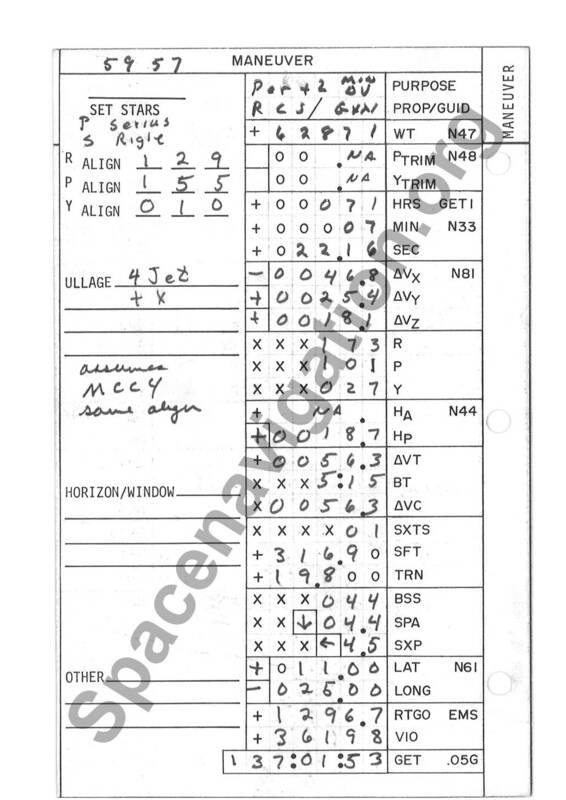 As stated in the mission report the accuracy of Lovell’s calculations would have permitted to safely navigate in case of an accidental disruption of the communication between the astronauts and Huston. These capabilities also have played a role during the manual trajectory maneuvers during the Apollo 13 mission. It is noteworthy to mention, that the spacecraft left the gravitational influence of the earth to enter the one of the moon at 55h 42m of mission time. This is the first document ever being hand annotated under the influence of the moon’s gravity and describes the MCC4-maneuver (Mid-Course-Correction 4), the first maneuver in the history of mankind beeing made under the influence of an other celestial body than earth. 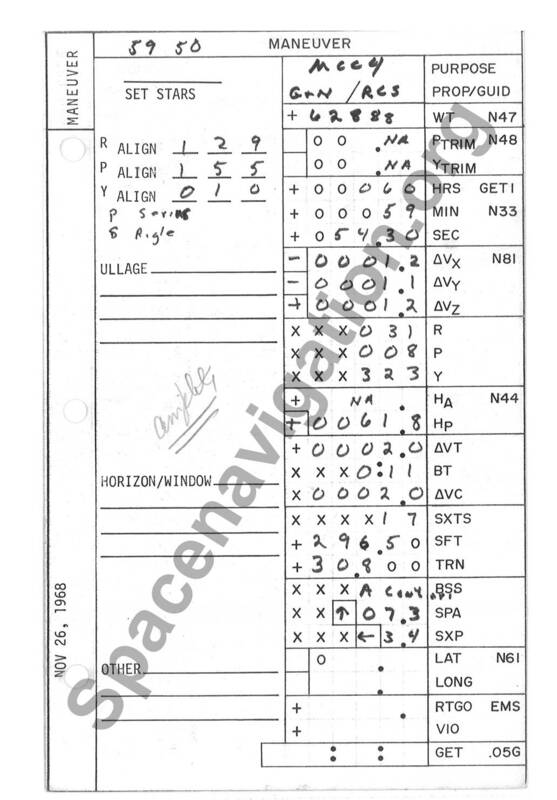 The full description of the checklist-page and the transcripted communication between the three astronauts and Houston can be seen here: Apollo 8 flight journal, Day 3. Above this description you will also find the description of the backside of this page bearing the annotation for an emergency maneuver. This emergency maneuver would have been important in case MCC4 would have been unsuccesfull, to bring the three astronauts back to earth safely. With the purpose of following the steps of Apollo 11 and Apollo 12, the astronauts of the Apollo 13 mission lead by James Lowell, were supposed to leave the gravitation of Earth the 13th of April 1970. 55h 54s after the lift-off a loud explosion was heard by John Swigert, who informed Houston with the famous expression “Houston, we have a problem”. The loss of tension on “Main Bus B” and the loss of the “Oxigen Tank 2” made a landing on the moon impossible. All available resources have been mobilized by the ground crew in Huston to get the three astronauts back to earth alive. The navigation computer could not be used, because of the lacking energy. At this stage James Lowell had the chance to apply his exeptional navigation skills, by orienting himself on the position of the earth and the earth’s day/night line. Four successful manual maneuvers with a perfect coordination of the three astronauts ensured a save touch-down at 142h 54m mission time.